I don't often write about food, because of so many reasons. Mostly though I just don't have the required vocabulary. I will brazenly endeavour from time to time because of my affection for snacking, but whenever I do, I inevitably end up using words and phrases I would use in other arenas. So, when I say something like 'Shuki and Louisa's muhummara is a broad-spectrum solution to your flavour needs', what I am trying to say is it is good on everything. Well, not 'everything' everything, but enough of everything that it might be considered some sort of a flavour panacea. It was introduced into my life, and my face, as a 'dip', which is a role that it plays well, but you will find that it excels when applied as a condiment. If you really want to get down to it, dips are a sort of condiment in a scenario in which the condiment is the primary purpose for culinary engagement. Shuki and Louisa's muhummara made everything that I put it on better. You need to put it on some sandwiches. 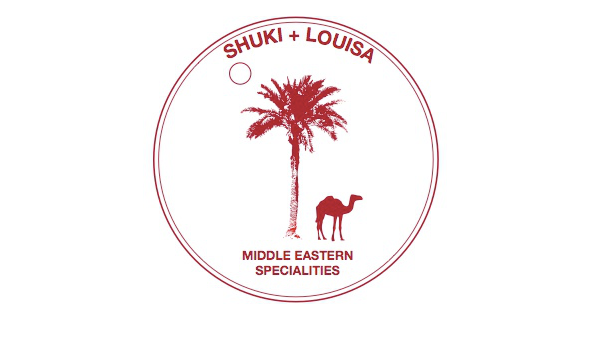 Muhummara was new to my life, but harissa, babaganoush, and humus are all things I have been partied too before, and these Shuki and Louisa guys do them really well. I have a humus story. I'm not going to tell it, but I'm completely cured. That is how good this humus is. If this were the humus standard from which a humus unit were derived, then the measurement of humus would resemble measurements of probability, because nothing would exceed one. That is what we're talking about here. This is the level of humus that we can expose ourselves to if we were to proceed with this proposed plan. Their babganoush is, and don't bother disputing this, the best baba I have ever had. It handicapped my ability for conversational progression. I was stuck, and I got annoying. I actually annoyed someone with my smoked eggplant triggered repetition. Wood-fire smoked eggplant. If I were German-American, I would call it 'The Übergine Dip', but I'm not, so that won't happen. It's wood-fire smoked and then lovingly annihilated by hand, and it tastes fresh. They smoke the eggplants, and they just taste really fresh. The consistency is another experience entirely from what you might be familiar with. It's not smooth. That's good. It is. If you have been consuming smooth babganoush all your life, you might just feel a little bit robbed that this is only happening to you now. It is exceptional in its deliciosity. This will be the frontline of the dip revolution. The Moroccan carrot and beetroot and dukkah dips are also exquisite, and the green tahini and harissa are about as versatile as the muhummara, and I highly recommend you find a way to add them both to more meals. Personally, I think a good starting place would be using either with some fish, or eggs on toast, or sandwiches. I had an incredible time with the harissa and muhummara on a roast beef and vege sandwich. You could have that too. They are also all vegan. If that sort of thing is something that you are likely to want to know, there it is. If you are in Melbourne it is much easier to get this than if you live anywhere else. Here is a list of where they are going to be in the Melbourne market scene, and where you can find them in stores. Sydney-siders can go to the Gladesville Organic Markets on a Saturday, and/or the Marrickville Markets on a Sunday. Everyone else just has to keep eating whatever it is that you have going wherever you are. Sorry.